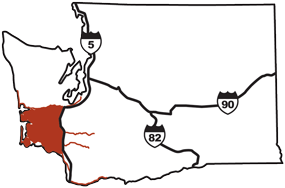 Discoveries await throughout the region, GO ADVENTURING! 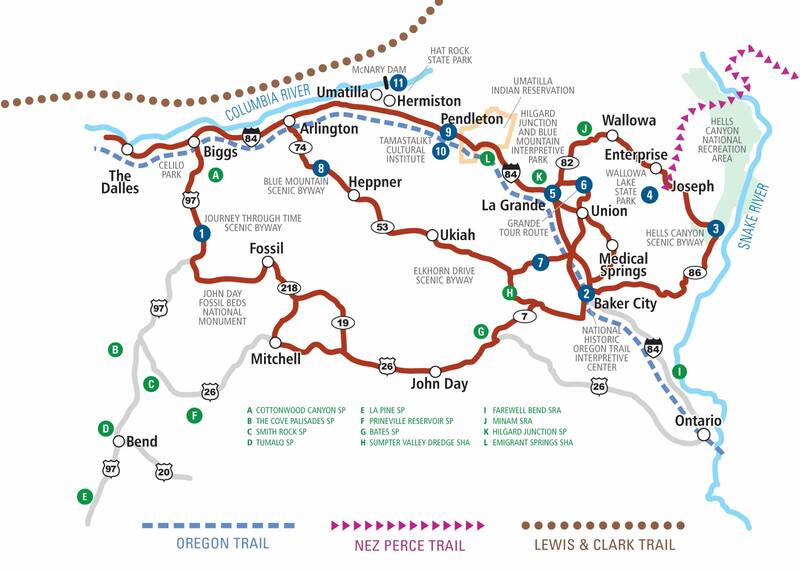 If you’re looking to explore the sights and history on offer in Montana, Idaho, Washington, and Oregon, follow the Lewis and Clark Auto Tours. 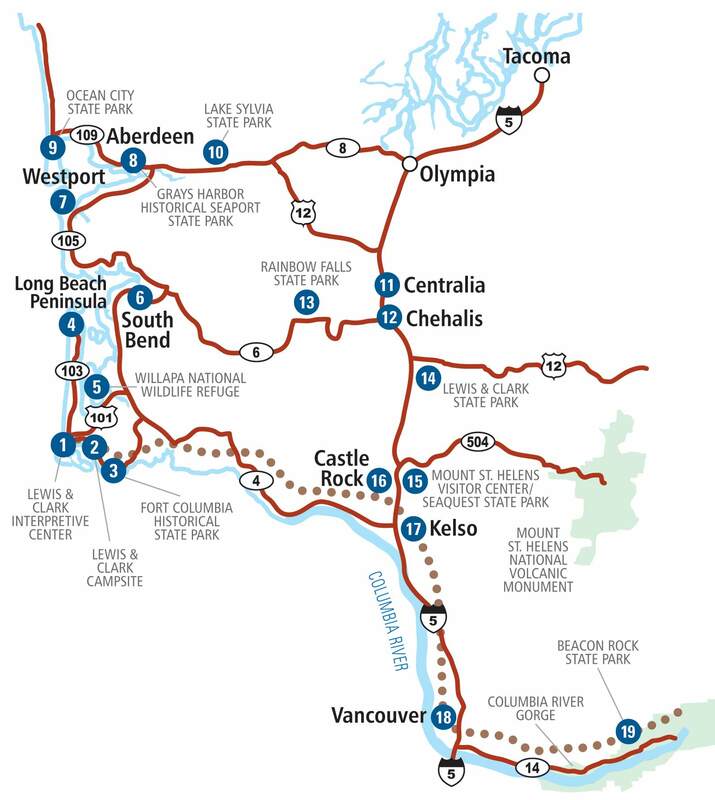 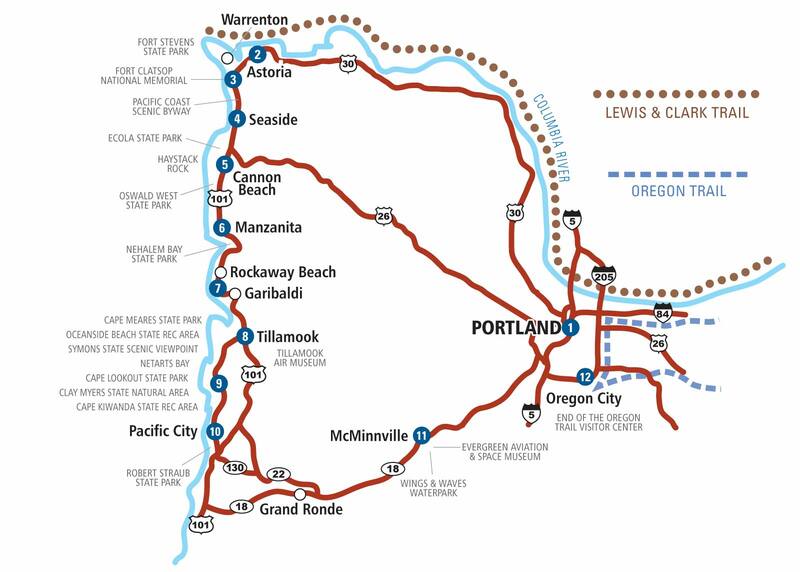 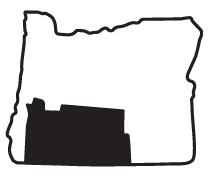 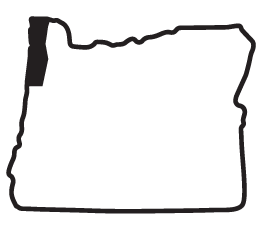 This self-guided auto tour includes Cape Disappointment State Park, the Lewis and Clark Interpretive Center in Ilwaco, Seaview, Long Beach, the Willapa National Wildlife Refuge, Raymond, Twin Harbors State Park, Westport, Grays Harbor Historical Seaport in Aberdeen, Centralia, Willapa Hills State Park Trail, Rainbow Falls State Park, Lewis and Clark State Park, Mount St. Helens, Castle Rock, Kelso and the Lewis and Clark Scenic Byway, Vancouver, the Columbia River Gorge and Beacon Rock. 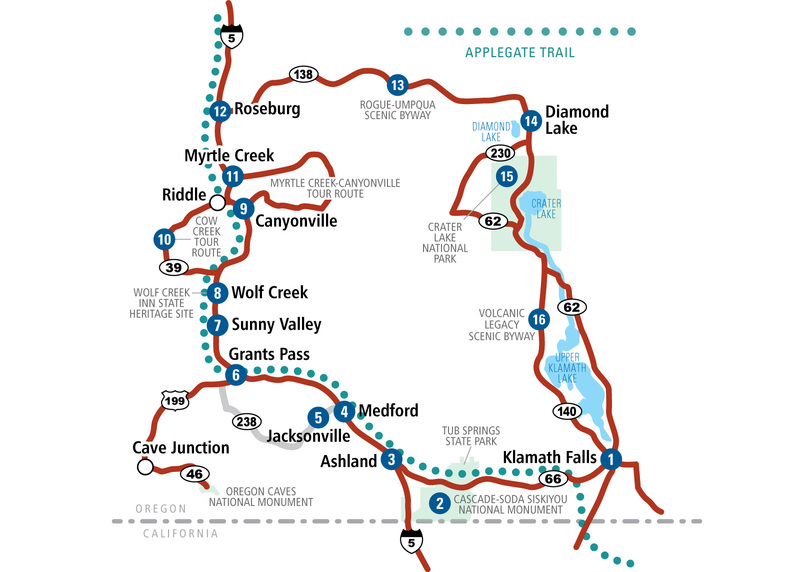 This self-guided auto tour includes Spokane and Riverfront Park and the Spokane River Centennial State Park Trail, Mount Spokane, Newport and the Pend Oreille Museum, Ione, Gardner Cave in Crawford State park, Crystal Falls, Lake Roosevelt, Curlew Lake State Park, Lake Roosevelt National Recreation Area and the Grand Coulee Dam, Clarkson the gateway to Hells Canyon, Sacajawea State Park in Pasco and the Turnbull National Wildlife Area. 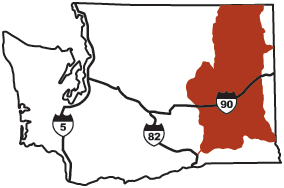 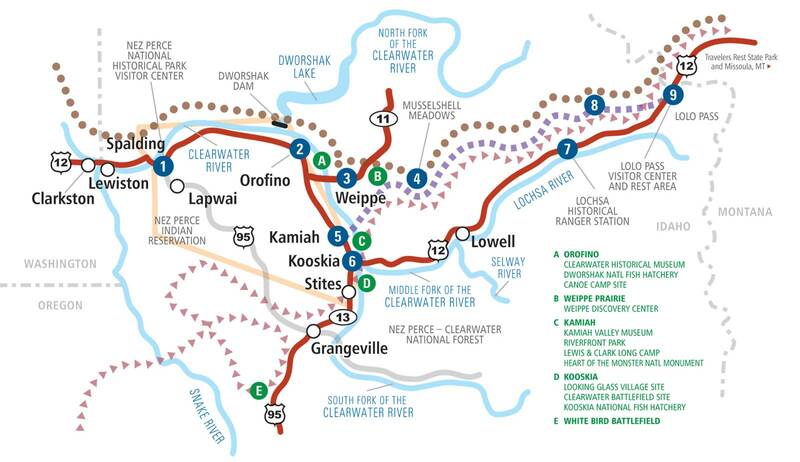 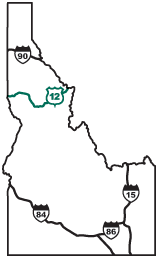 This self-guided auto tour includes Nez Perce National Historical Park Visitor Center at Spalding, Lapwai, Orofino with the Dworshak National Fish Hatchery and Clearwater Historical Museum, Weippe and the Weippe Discovery Center, Kamiah with the Kamiah Valley Museum and Riverfront Park, Kooskia, the Clearwater Battlefield and the Kooskia National Fish Hatchery, the Lochsa Wild and Scenic River, the Lolo Motorway, historic Lolo Pass and the Lolo Pass Visitor Center and Rest Area. 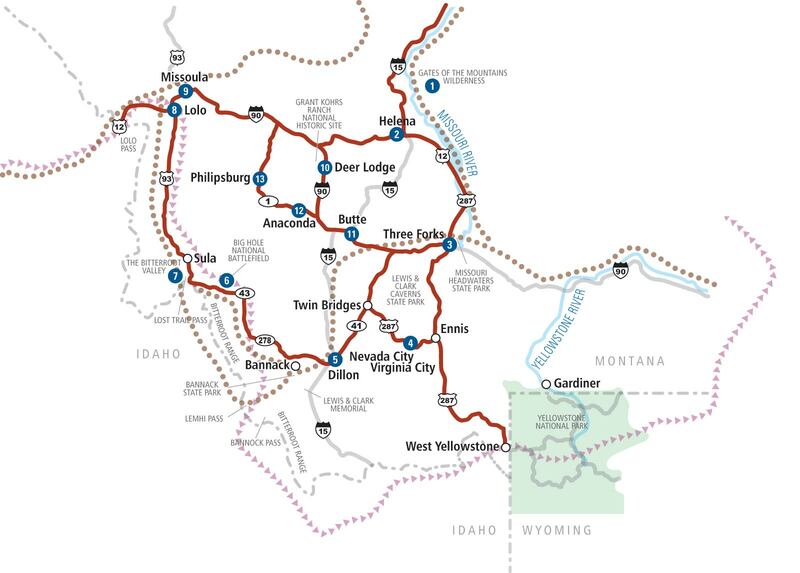 This self-guided auto tour includes scenic Helena and the gates of the Mountains Missouri River Canyon and the Montana Historical Society Museum, Virginia City, Big Hole National Battlefield, the rugged Bitterroot Mountain Range, Logo Pass, Missoula and the Smokejumper Visitor Center, Butte and Old Butte Adventure Tours, and Philipsburg nationally recognized for its preservation and charm. 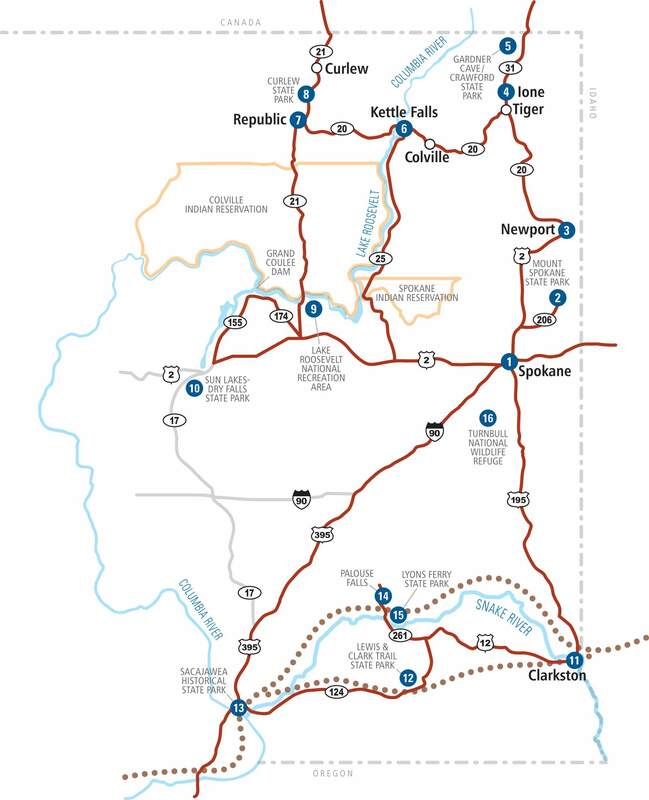 This self-guided auto tour includes Fort Union National Historic Site, Scobey and the Daniels County Museum and Pioneer Town, Wolf Point with its famous annual Wild Horse Stampede, Fort Peck, the Montana Dinosaur Trail, the Charles M. Russell National Wildlife Refuge, Lewistown, Glendive and Makoshika State Park and Makoshika Dinosaur Museum, Miles City with its historic Main Street and Medicine Rock State Park. 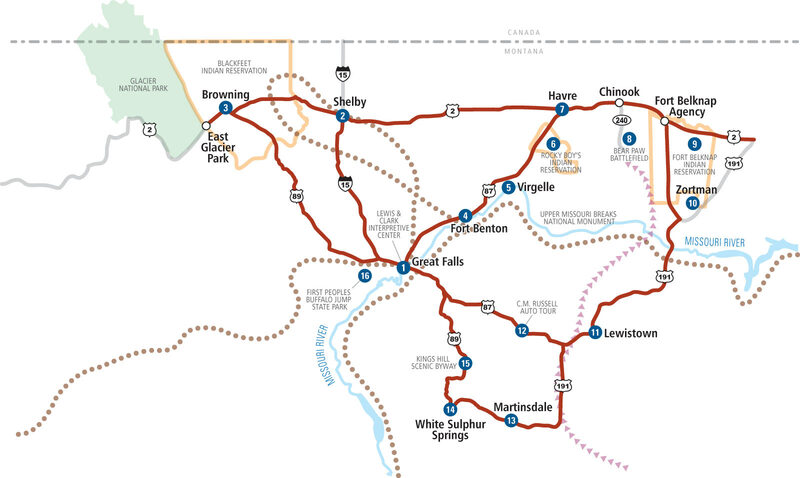 This self-guided auto tour includes Great Falls with the Lewis and Clark Interpretive Center and the C.M. 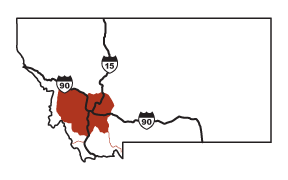 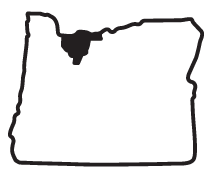 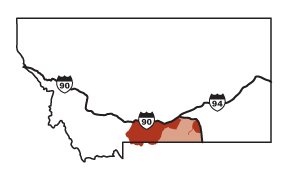 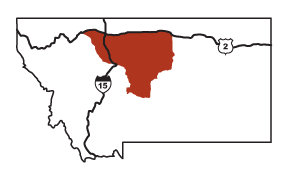 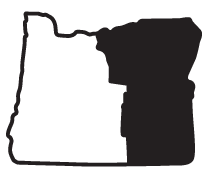 Russell Museum Complex, Fort Benton and the Missouri Breaks National Monument, Havre and Beaver Creek Park, Bear Paw Battlefield, Lewistown, the C.M. 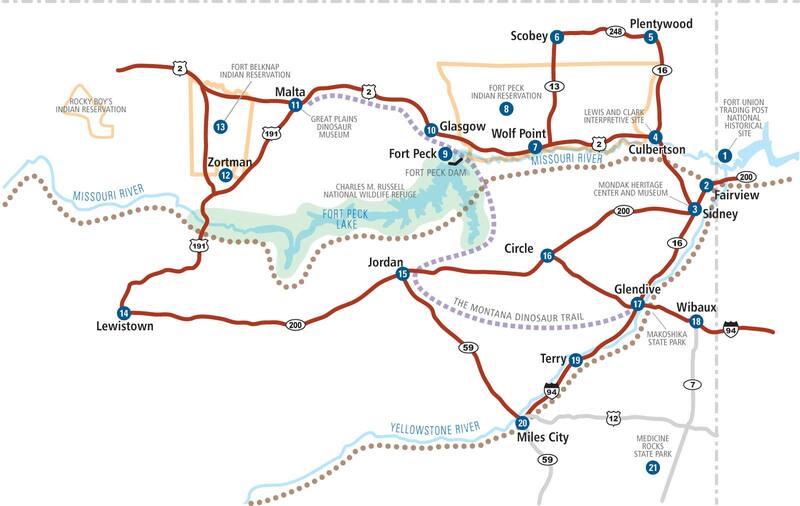 Russell Auto Tour, and the First Peoples Buffalo Jump State Park. 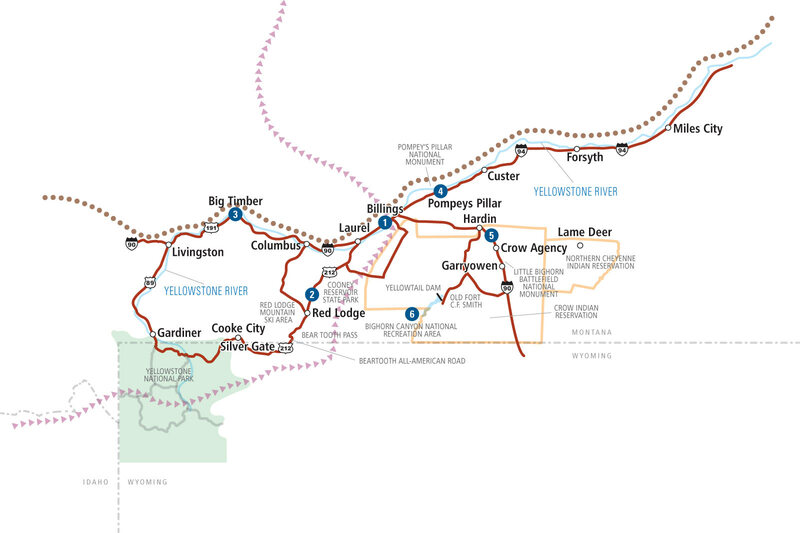 This self-guided auto tour includes Billings with the Yellowstone Art Museum. 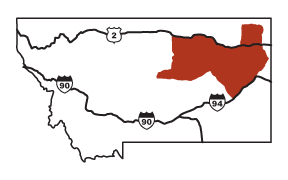 Yellowstone County Museum, ZooMontana, Pictograph State Park, Pompey’s Pillar National Monument; Livingston and the Yellowstone Gateway Museum, the Little Bighorn Battlefield National Monument, Big Horn Canyon National Recreation Area and Chief Plenty of Coups State Park.